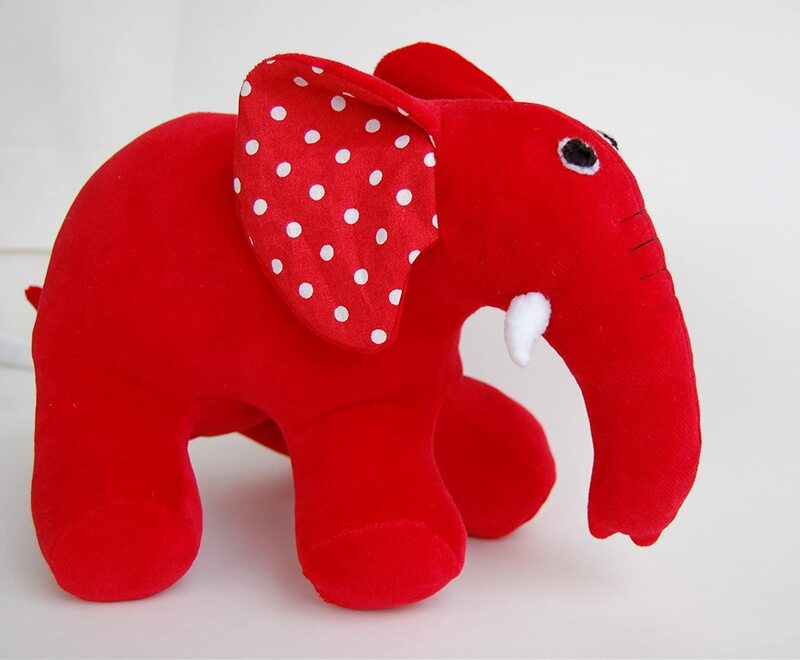 wooden teething toys are all natural, handmade, and provide safe and stylish teething relief to baby. 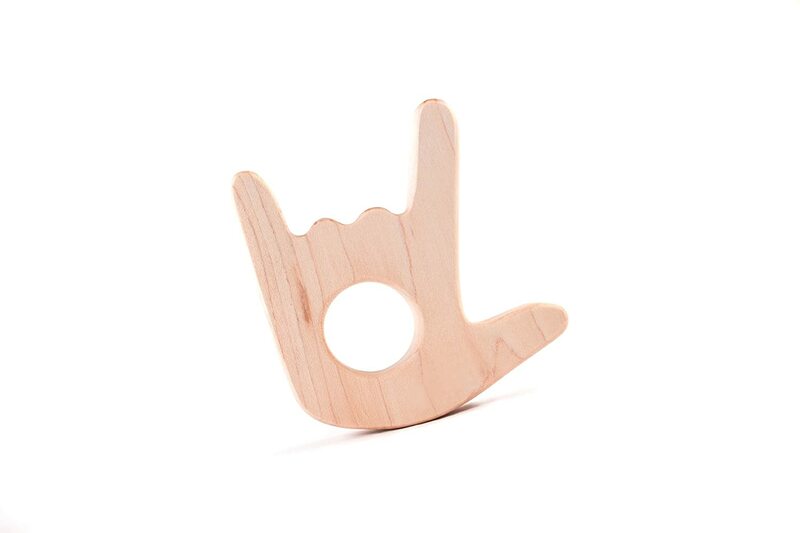 Our wood teethers make ideal first toys for grasping and teething. 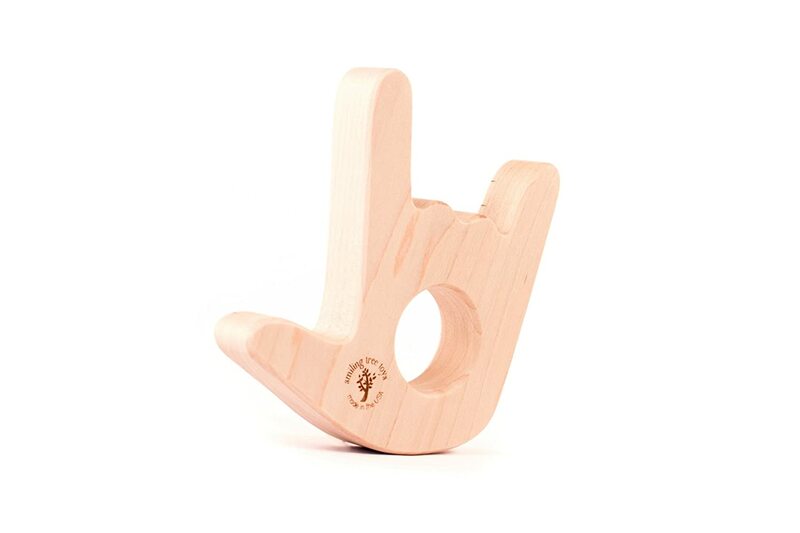 We handcraft our teether toys in small batches in our family's Minnesota wood shop and donate to Peace Corps youth projects for every toy we sell. 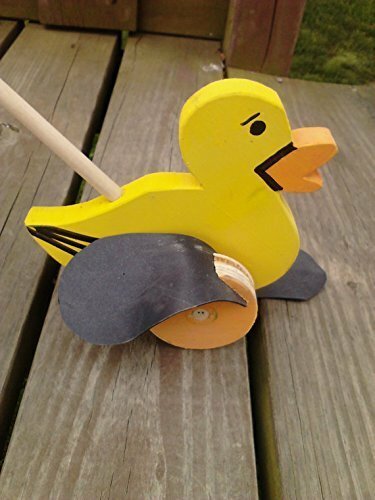 They're made from non-splintering solid hardwood, hand sanded silky smooth with soft edges, extra thick for easy grasping, with no oils or finishes applied. They are also safe, non-toxic, hypoallergenic, and naturally antibacterial. 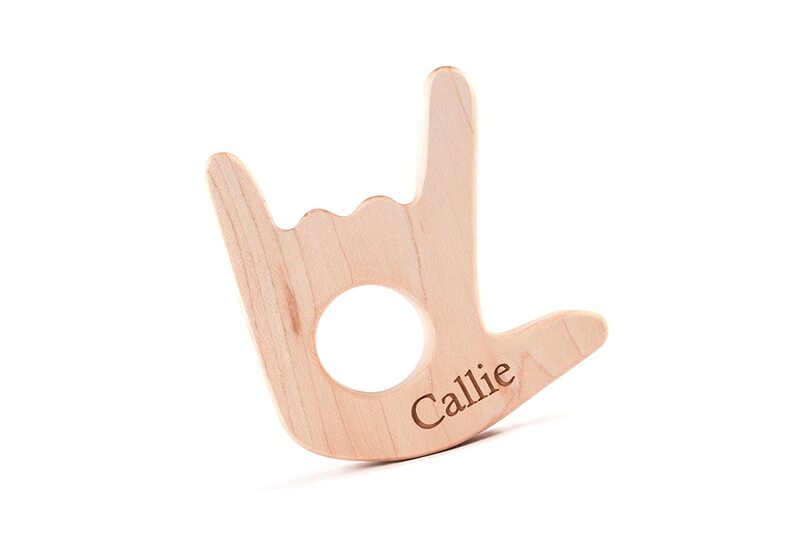 Let us engrave your child's name to create an heirloom keepsake that will be a treasured first toy for years to come!